Sometimes we miss the messages we used to get from someone. We miss the talks with them we used to have.We miss the day that we were with them together. 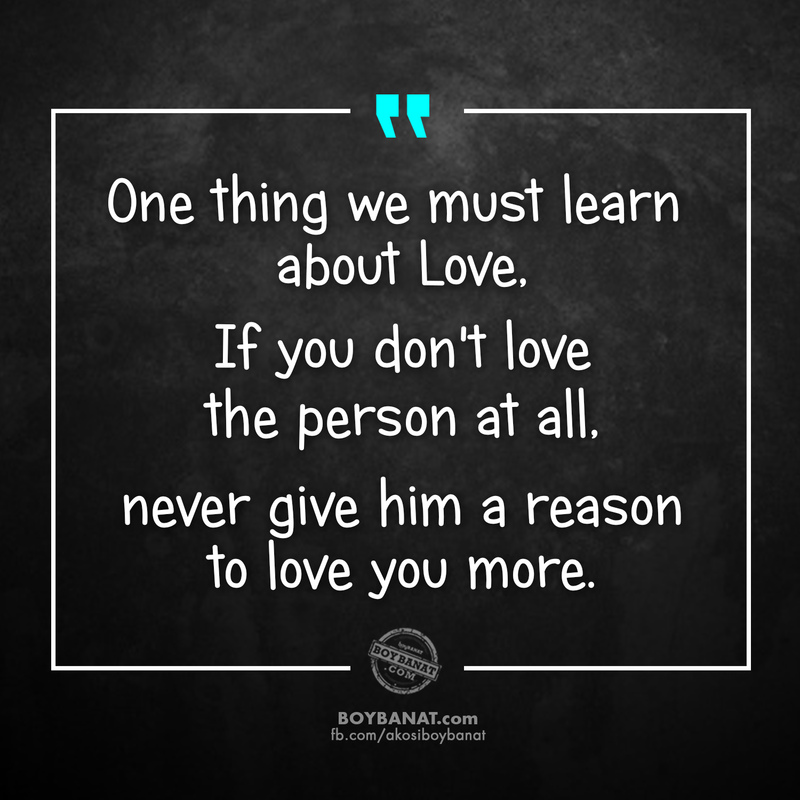 Heres's a collection of New Love Quotes and Sayings in order to make your love life more optimistic and beautiful it is essential for you to know the true meaning of love. 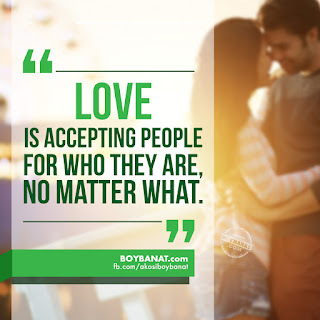 If you have your own favorite New Love Quotes and Sayings, simply add a comment below or just email it to us with a subject: love quotes. Enjoy! Respect the people who find time for you in their busy schedule and love the people who never look at their schedule when you need them. If you are afraid to love a person because of friendship you have to choices. Either says what you feel and let the love takes place or forever have love under a friendship full of pretending. When you still useful, you’ll be taken care of, but the moment they find someone better, they won’t even remember how you’ve been useful to them. We don’t need to explain how much we love a person. It’s up to them how they appreciate the efforts that you did for them to be contented. 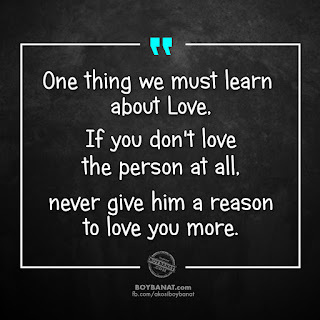 One thing we must learn about love..if u don't love d person at all...never give him a reason to love u more..
No matter how busy a person's day is, if she/he will do anything to get hold of you by any means, then you are one of his/her PRIORITIES! Sometimes, you have to run away..not just to create distance, but to see who cares enough to run behind and pull you back. The worst thing that a man can do to a woman, is to let her fall in love and leave her when she falls. I know in this life there will be another you, another moment or another chance. So, as long as you are there now is the opportunity to tell you that, “I’m happy that I met you. It is better to feel the enjoyment of being not commited, rather than to suffer in a relationship being cheated! When nails grow long, we cut nails not fingers... similarly.. when misunderstanding grow up, cut your ego.. not your relationship.. Sometimes, I wish certain people wont tell me they love and care for me. so that I wont waste my time believing in their sweet lies. Real men don’t love the most beautiful girl in the world; they love the girl who can make his world the most beautiful.